On Saturday, September 5, come to Barnsdall Art Park in Hollywood (4800 Hollywood Blvd.) for an outdoor screening of the film “Swingers.” Bring a picnic, soft drinks, and a blanket. The film will start at 8 p.m. and $10 suggested donation is requested. Come early to get a good spot! There will be a concession stand, a Coolhaus ice cream sandwich truck and the Let’s Be Frank hot dog truck. A beer tasting from Silverlake Wine will also be available from 5:30 p.m. to 7:30 p.m. Tickets to the beer tasting are $25 (including the $10 suggested donation for the screening) and are available here. 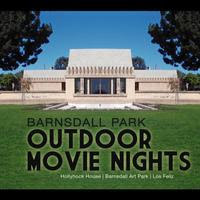 All proceeds will benefit the Barnsdall Art Park Foundation.